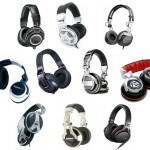 Sequencers aren’t a thing of the past, even though the digital age of music recording and production is in full force. For those want a standalone or perhaps a supplemental piece of gear to manage your steps and make tracks with in your existing music production setup, we’ve compiled our 10 favorite picks as the best hardware step sequencers as well as those with MIDI to help your shopping search. 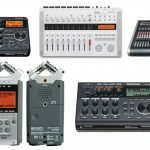 The term “best sequencer” is quite broad however, considering the many different personalities available to us when it comes to managing and creating steps, so let’s first survey some important notes to keep in mind while you search the for a step sequencer for your particular needs. Although you’re here for a reason, we’d like to sum up what exactly a step sequencer is in case some of you are unaware. Sequencers break down beats into ‘steps’. For example, if you break up a loop with 4 bars that’s in standard 4/4 time, it will have 16 steps (also known as beats). With a sequencer, you can edit each step as you’d like to customize your beat or song. Tweak, add/remove, edit drum hits such as kicks, snares or hats, add sample hits, effects, and more. The sum of its parts equal the whole in our case with sequencers. You can set your desired number of steps in each beat, view individual drum hit names, change velocity, swing settings, reverb and other effects. it’s also very easy to think like a drummer – once a step sequencer clip is created, you can copy it, click on ‘unlink sequencer clips’ and then add in an extra kick, crash, roll, etc. We know a lot of producers into hardware that use step sequencers for their drums only, and once they want to incorporate some complex polymorphic sounds inside of the bar (typically in the smaller steps, such as the 1/8’s or 6th’s), they will play keys or add other sounds after in the mixer, or if your sequencer has MIDI, just import the drum data into your software and allow the rest to be created digitally. Perhaps then use the data and replace the sounds with a VST. Sequencers were very popular back in the day, especially with old school drum machines, synthesizers and other means to a hardware and analog setup before computers were big in the music production industry. Music software nowadays can essentially edit your ‘steps’ to a beat in a more advanced, user-friendly manner, but we still know many who prefer step sequencers not only for their production setup but when performing on stage as well. Some even use step sequencers as ‘on-the-fly’ recording in front of an audience, not only on stage but perhaps outside for a creative and fun show (ever been to Venice beach or perhaps outside of LA in Hollywood and you see musicians with guitars and pedals who record as they play? They’re using sequencers). What is your budget? We’ve discovered after compiling this guide that there’s a very big range to the best sequencers in the market, so how much cash you have at hand right now will be a big factor. If you do indeed want to find the sequencer for you and save up from there, we recommend doing so since other preferences of yours may call for a higher-end model. We found models from $100 all the way to $1,000+, so we’ll leave that up to you. What gear needs to be controlled? Not only are step sequencers used for creating steps and beats, but they can also control other gear you may have in your studio, or at least be paired to act together in tandem. 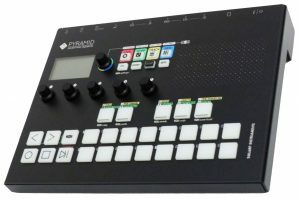 This is where the ins\outs will be concerned — if you just want a simple step sequencer to make some beats, you wont need a more advanced sequencer with a lot of inputs and outputs. On the other hand, if you need a sequencer to act as a ‘hub’ for your studio, make sure not only your ins and outs are compatible, but the sequencer you buy also has the ability to export it’s data of patterns to drum machines, synthesizers, or even computers via MIDI. MIDI, CV/gate or both? 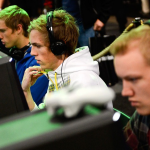 In other words, hardware-only, digital controller (to control in your software), or both? Nowadays, hardware step sequencers are ‘significantly’ rare, but are still offered with some very nice models we were able to find below. Others will technically be ‘hardware’, or at least include a CV/gate compatibility, but also have MIDI to meet the best of both worlds. It all depends on your not only existing set up but perhaps future plans as well. CV/gate means “control voltage” and “gate” functions which were incorporated into old-school synths to control notes on\off and pitch. MIDI now can handle that by sending digital messages to your computer. 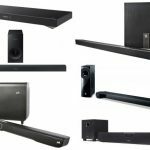 Is it for the studio, or live use? We know musicians who use step sequencers for both studio use as well as live performances, while many one or the other. Studios give us more freedom when it comes to sequencer size, which can then result into buying a more high-end, feature-loaded model if you need be. Live will be a bit tricky since portability is an obvious factor for performances, but most below can technically be traveled with if you’re able to take proper care of the sequencer. Let’s kick off our list of the best sequencers with note in Arturia’s BeatStep Pro. We’re big fans of this sequencer not only due to the beloved brand name but the affordability, portability, as well as overall features and quality this one brings to the table. The power at our fingertips include 4,000 possible combinations per project (16 projects with 16 sequences per melodic sequencer as well as their drum sequencer with 16 patterns as well). The two independent melodic sequencers and additional drum sequencer give this one others like it a run for the money since it’s essentially a drum machine at the same time. If you’re using a digital-based setup or even hybrid with a DAW, the BeatStep Pro is compatible with a lot of software out there to allow you to sync the sequencer for some nifty controls, such as trigger clips, playing sounds and samples, or even hooking up to various plug-ins for on-the-fly control (especially handy for those performing). The effects are also beautiful, coming with a looper with a touch strip, swing settings, randomizer, and many more. The Arturia BeatStep Pro kicks off our guide with a bang, and if you wanted arguably one of the most powerful hardware sequencers in the game right now (MIDI is included as well as CV/GATE, too), here it is. Considered a ‘pad controller’ that also has a step sequencer inside of it, the Trigger Finger Pro has been around for quite some time now and has a reputation etched in stone among the best sequencers in the market today. The step sequencer is indeed standalone so you don’t necessarily need software or a digital setup to make this work, but it’s a full-loaded pad controller that can sync with my DAWs via MIDI for ultimate control. You’re getting 16 pressure and velocity-sensitive pads (RGB), 4 assignable faders, knobs and buttons (backlit), all aimed at more control over your software. But the sequencer in particular has 64 steps and is fine as a standalone, while also having the ability to send any data you’ve created into a MIDI in — think synths, drum machines, etc. Lastly, it also comes with a bunch of software, which may or may not be important for you (about 5,000 samples to get going right out of the box). 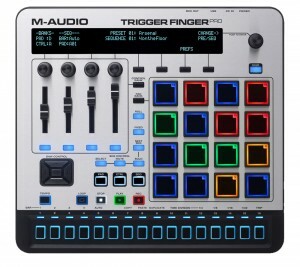 Check out the M-Audio Trigger Finger Pro if you also need a MIDI controller to add to your setup, but it’s also one of the best step sequencers in the game due to the overall power it brings. Up next is another one of the best step sequencers in the market, and this time Korg brings us a quite simple and efficient (and also affordable) — a 2 x 8 steps compact piece of gear. 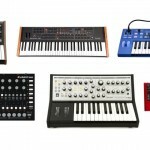 It’s actually an extension of their famous MS-20 synthesizer’s partner, the SQ-10. 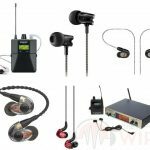 It has a very sturdy and compact body that operates via battery, so it’s great for those on-the-go or on stage needing a lot of versatility not needing to mess with wires. Most notably aside from the small size and overall reputation here is the SQ-1’s step edit buttons for those who perform on-the-fly, or want to create a song from scratch with some fellow musicians and love to improv. You do have a variety of sequencer modes with two channels (A and B) that can operate consecutively or individually controlling different parameters, and you can select quarter, eighth of 16th notes if you desire. Lastly, and getting a bit technical here, many love this sequencer since it operates using the Hz/V standard as opposed to V/Oct. This ultimately has been stated to be better for pitch stability, and you can also control other Korg gear in case you’re a junkie (such as the MS-20 mini). The Korg SQ-1 is packs a powerful punch in a small body, and is yet another one of the best sequencers out there, especially if you’re looking for a true hardware sequencer. Cue another beautiful hardware sequencer here, and if you’ve got the budget, you’ll be getting by far one of the best sequencers in the market right now. That Elektron brand name first of all screams ‘hardware’ and ‘reliability’ (at least for us), and this particular sequencer is well-known for its reliability and advanced features that take the next step for sequencers. 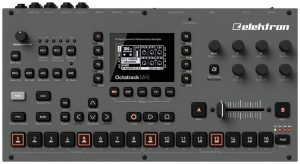 To highlight a few of our favorite features, the Octatrack brings us a sampler built-in, high-quality buttons, easy to view OLED screen, numerous dedicated buttons for more control than other sequencers out there (track recorder, amplitude envelope, LFO’s, selectable track effects, MIDI (arpeggiator, 3 LFO’s and 10 configurable CC’s), to name a few. The sequencer has 8 audio tracks and 8 MIDI tracks with a total 64 steps per pattern. You can adjust individual track lengths, track time signatures, and use chromatic, slice, slot and delay freeze modes. We could go on about the Elektron Octatrack MkII, but to put it simply, this is the best hardware sequencer in the market if you have the money. With ins and outs galore, your performances will never be the same with this. Perhaps a lesser-known brand name to some, this is another pick we couldn’t ignore to act as the best sequencer for the money right now, all due to the 8 polyphonic tracks, pattern chaining, snapshots and song mode with 512 patterns (each track has 4 banks of 16). There’s also realtime, grid and step recording for whatever style your workflow demands. There is no LCD here but for many hardware gear junkies that isn’t a con — you’re more than fine using their dedicated buttons and knobs (6 of them that can also send MIDI control messages or even control voltages with the CV expansion). Tweak settings even while your steps are playing (very handy for performing), and you can even function pin by locking in to a particular mode instead of holding a bunch of buttons at once. The Social Entropy Engine is another raw, standalone and true hardware sequencer worth checking out. Continuing our love for the best hardware sequencers, Sequentix’ highly rated model here has an array of impressive power. A 240×64 pixel display (graphic LCD) allows us to control the 19 rotary encorders (with push-switches), 2 assignable knobs, 35 keys with integrated LEDs, 5 independent MIDI in and out ports, and a CVIO option with 16 CV and 8 gate outs. This is a raw, uncut hardware sequencer. It isn’t the most travel-friendly and is geared towards studios, as the rear panel is movable if you want to switch from desktop or add it to your rackmount. We can still see this as a part of your stage performance if you need, however, there are just more ideal solutions if you’re in need of a step sequencer for performances. With amazing timing, easy workflow and overall very stable build, the Sequentix Cirklon is yet another one of the best step sequencers for those true hardware lovers. Let’s talk more digital for a second as well as a step sequencer that is super specific to the software you may be using. The Push series by Ableton has been popular for quite some time, and this is a sequencer we recommend for those not only using Ableton Live but who perform semi-professional and need a reliable controller for all-thing Ableton. For sequencing, you have a whopping amount of pads here — an 8 by 8 interface for a total of 64 sounds and sample trigger, all programmable for each one. You can play in real-time, step sequence beforehand, or even adjust the length of the loop simultaneously. The pads are also velocity sensitive and feel great on your fingers, and at the same time you have eight touch-sensitive encoders for more control. You can hold a pad to repeat the notes during your track, or adjust the swing and repeat divisions in real-time for some on-stage improvisation if that’s how you work. The Ableton Push 2 offers a lot more than what we’ve just written out, but to sum it up, if you’re an Ableton user and perform seriously, we’re sure you’ve heard of this by now. If not, check this out — it may be the best sequencer for you. Getting back towards a more digital approach and software-specific direction for the best sequencer, Novation has another Ableton-based controller here to take a look at. Great for live performances, we have another heavily equipped pad controller with 64 touch-sensitive and velocity-friendly pads to get a hold of your sounds and samples. Although recommended for those with Ableton to control your software, you can also use standalone mode to hook up to your external hardware as well. Keep in mind this also works with other popular DAW, such as Logic Pro. Similar to the Push 2, a huge software package comes along in the box, so if you were concerned with sounds and effects you will be covered as well (it does come with Ableton Live Lite if you want to try the software out). 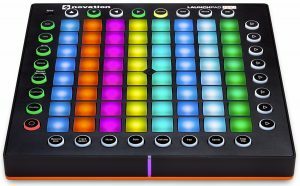 Otherwise, the step sequencing here is pretty standard yet technically ‘more powerful’ than a hardware sequencer since you can use the extremely jam-packed settings of a digital-based software MIDI sequencer with the Novation Launchpad Pro. Check this one out if you were concerned with a digital and non-hardware type of step sequencer. It’s a lot cheaper than the Push 2 so if you were confused on either, grab this if you want to save money (it’s about half the retail price). Otherwise, the Push 2 does have a bit more power to it. 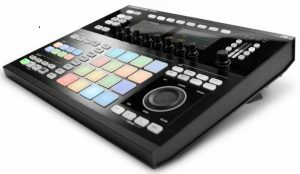 Although technically a ‘production studio’, the Maschine series by N.I. is huge at this point and worth a mention later on in the guide in case the raw, hardware sequencers previously mentioned weren’t what you were thinking. Working as both a standalone groove studio as well as capable of syncing with software (highly recommended to only work with their N.I. programs), this is definitely high-end when it comes to price. We first have solid physical control and visual feedback, with a few LCD colored screens right on the unit itself to navigate willingly. You can browse sounds and plug-ins, sample, arrange, mix and perform samples and grooves, and it comes with an extremely large database of sounds and effects, adding up to about 22 GB. The step sequencer in particular is standard since this thing is basically a drum machine all-in-one, but what’s nifty is the screens on the unit in case you’re going to be using it as a standalone. Control all of your steps that way, and you can also send the data to your software using the MIDI (you also footswitches and USB). 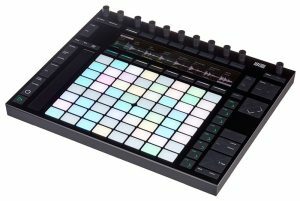 Among many other features that are just way too many to count, we’ll probably get some flack since the Maschine Studio isn’t necessarily a raw step sequencer, but it’s something to keep in mind as a few readers out there may find this to be exactly what they need when they think of ‘the best step sequencer’. Squarp knows hardware gear very well, and the Pyramid Mk2 is a higher-end solution to the best step sequencer to end this guide. Coming with 64 polyphonic tracks with an unlimited number of notes and automation, all of our sequencer needs are met here in terms of numbers. You also have 12 dynamic MIDI effects, a chords and scales generator, real-time recording and step sequencing, among a slew of ins and outs, such as MIDI, USB, CV/gate, and even dinsync. This one is great for the studio but we can foresee it used on stage, too.